Scrapbooking paper is incredibly popular as it can be used as a background or as a way to accent pictures and other items on your scrapbook page. 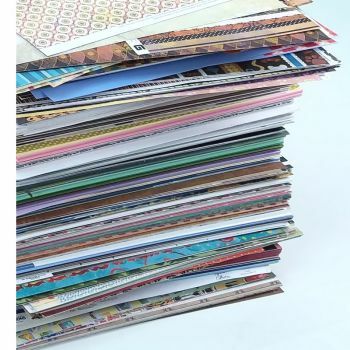 We ensure that we stay abreast with the latest paper trends and fashions to ensure that you have a mint choice of the most beautiful & useful scrapbook papers available! Are you needing inspiration for your next scrapbook layout? Subscribe to our blog to ensure that you get all the tips delivered directly to your mailbox! Take a look here to all the different types of paper that we have available!